This bike has been the icon of Adventure Riding. Credit has to be given to BMW who accepted the challenge from the producers of the Long Way Round and the Long Way Down. According to their books, Charlie Boorman and Ewan McGregor where undecided as to what bike to take on their round the world adventure. 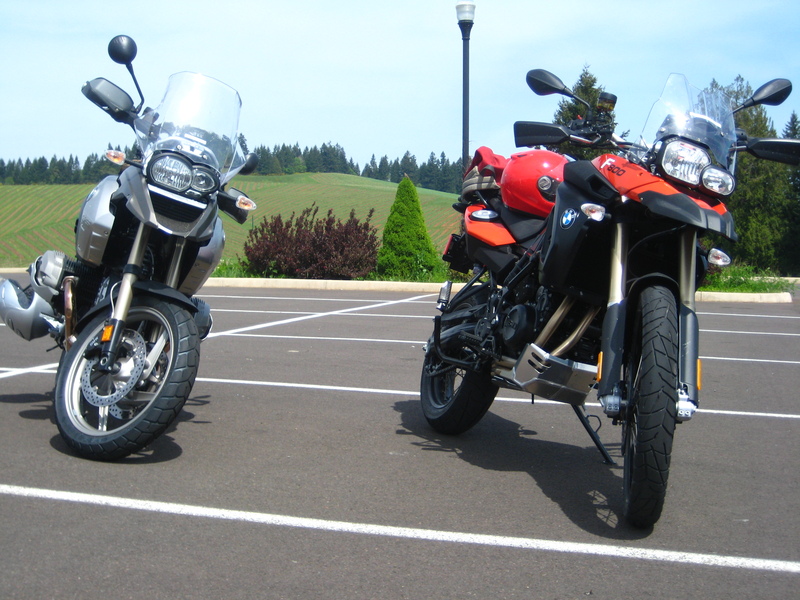 They were in between two bikes on their first adventure: the BMW R1150GSA and the KTM 950 Adventure. After testing both bikes, and going back and forth on the decision process, Charlie convinced Ewan that the KTM was the bike for the job. When Ewan accepted that, and they approached KTM, KTM backed out of the deal. 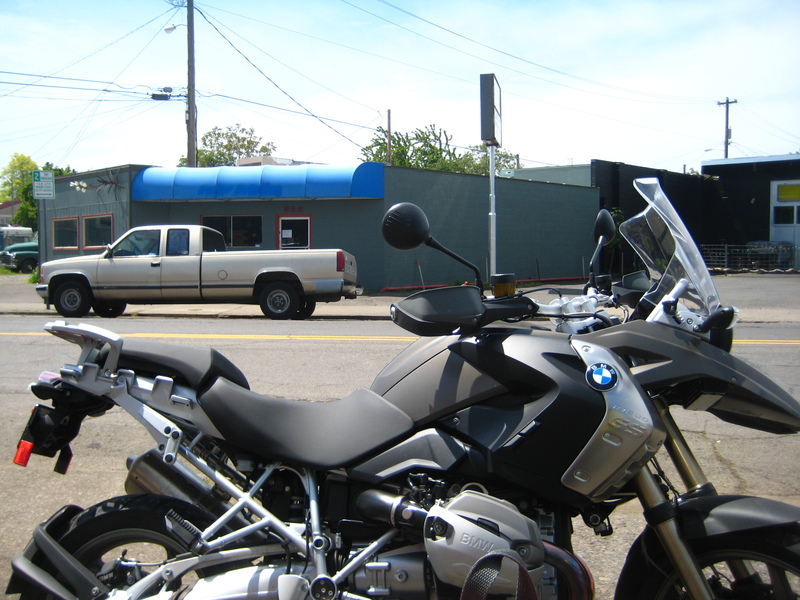 They went back to BMW who promptly accepted the deal and provided the bikes for the now famous adventure. Once could say: and the rest is history. Indeed, the TV series and books reached the right crowd at the right time and this bike became the synonym of adventure riding. Of course, the LWR and LWD were not what put the GS (Gelande Strasse – all roads) bikes on the map. It has had its success stories on the Dakar races as well several years before their adventure. These bikes created a niche in the motorcycle market that has been growing steadily for many years. The 1200GS is BMW’s best seller motorcycle. This bike uses the venerable boxer engine. The twin-cylinder boxer engine has a long history of applications in the BMW motorcycle line up, and has acquired and carried tradition through the years. It has evolved from an air cooled to an oil cooled engine and has grown in displacement along the years. The 2010 model I tested has the latest iteration of the 1200cc motor, producing 110HP. What gets it there is a new dual over head cam (DOHC) engine. It accelerates very smoothly and you have no questions about its high torque and power levels. Despite the bike’s weight, when it is in motion it feels very balanced. It turns in well and keeps you on the corner at the lean angle you want. But you always have the feeling you are riding a large machine. But its size and bulk has its followers. It has been the only real choice for a do-it-all bike for many years. Do you want to take your girlfriend on an adventure ride? Go camping with her, take the long way to get there, find some gravel on the way, and manage to take the kitchen sink with you? Well, that is the bike. Now it has competition from several other manufacturers. The machine that appears to more closely offer similar features is the Yamaha Super Tenere. It is back to the market with a 1200 displacement. Ducati has produced the Multistrada, also with a 1200 displacement. Moto Guzzi has the Stelvio, also at 1200cc. And Triumph is rumored to be designing a 1200 triple. Up until now, BMW has done well with this bike and this motor. It has had a very loyal following. But it may just be time for BMW to offer a more radical product for this market. This engine is at its limit with respect to environmental requirements. I’ve been hearing talks for w few years already that a water cooled version of this boxer engine, to cope with these more stringent environmental requirements is in the works. BMW has been expanding its line up of motors by offering bikes with the 650 single cylinder Rotax motor in the nineties, the 650 and 800cc parallel twin Rotax motors after 2007, the four-inline on the S1000RR in 2010, and the six cylinder K1,600GT in 2011. But they have not touched the 1,200 boxer-based line up. Yet. Let’s see what the water cooled version will look like. Would I buy it? If I really need to go adventure riding two-up, then the R1200GS will be my bike of choice. Otherwise, I’ll stick with bikes with less bulk and weight. It didn’t help I test rode it back to back with the F800GS, my all time favorite bike so far.